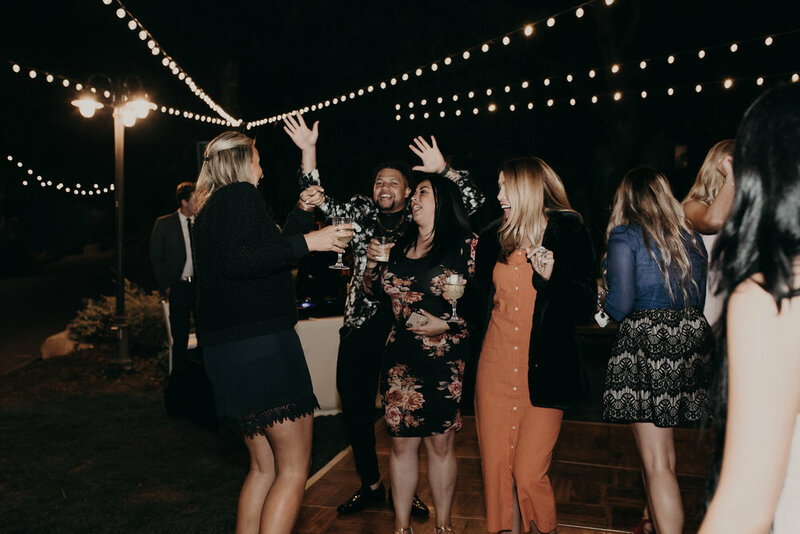 Behind the DJ Booth is a preferred DJ vendor at the San Diego Botanic Garden in Encinitas, California which is how our latest couple found us. 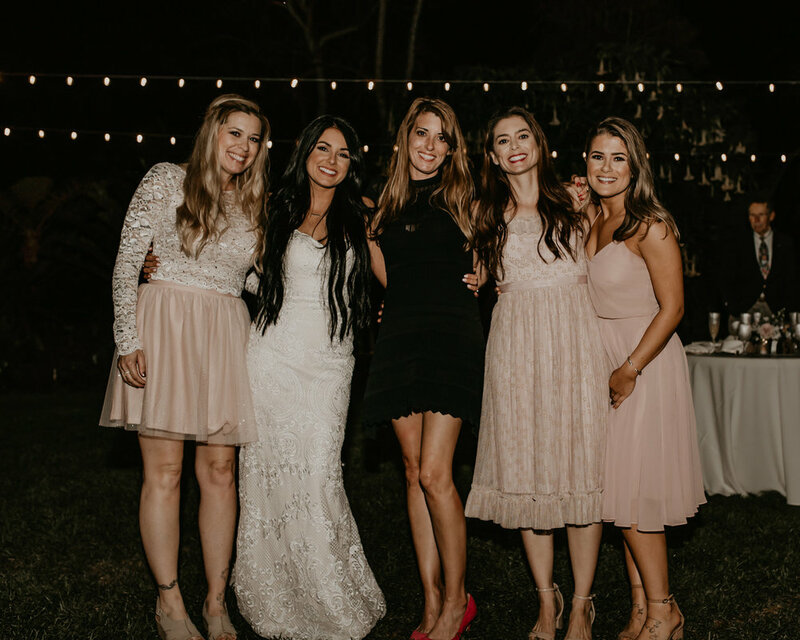 San Diego Botanic Garden is a beautiful and unique venue that has everything you could desire in an outdoor venue. Whether you have your wedding in the Walled Garden, Victorian Gazebo Lawn, or Lawn House Garden you cannot go wrong with any of them. Holding anywhere from 60-300 guests they have a location that will fit any couples’ needs. 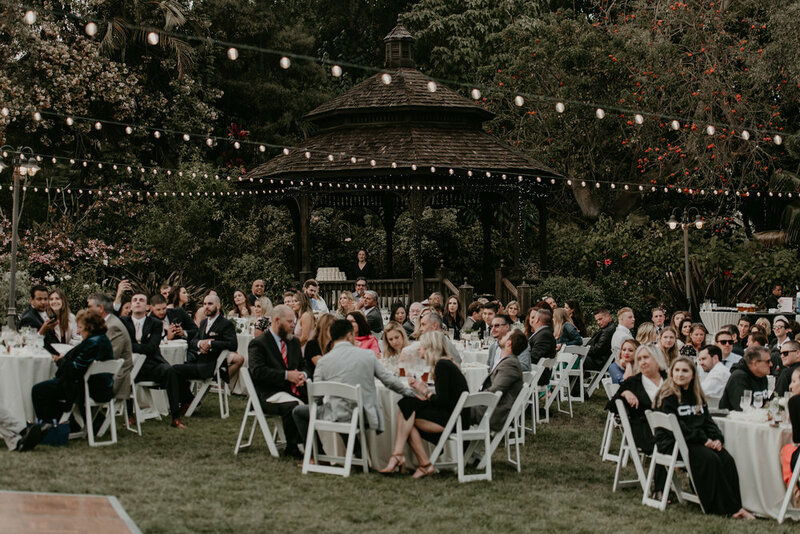 The Victorian Gazebo Lawn is located in the center of the garden and can hold 200 guests seated at tables and 300 guests seated. It is naturally picturesque with flowing plants and mature trees surrounding the area. This area of the Gardens is available for daytime ceremonies and evening receptions. The gazebo is the perfect spot for a quiet moment with your spouse during the hustle and bustle of your big day. The Walled Garden is a lovely, intimate option for your wedding as well seating 180 and 72 seated at tables. The historic Larabee House opens up to the Walled Garden which is enclosed with adobe and tile walls surrounded by ferns and trees. The Walled Garden is available for daytime wedding ceremonies, parties, showers, anniversary celebrations, evening wedding ceremonies and evening cocktail receptions. The Lawn House Garden is a unique option in that it's proximity to the Palm Canyon Rainforest offers the sounds from the three story waterfall while creating a tropical backdrop. This spot it a fantastic option for daytime ceremonies, daytime wedding receptions, parties, showers, and celebrations. This area sits 60 at tables. Last, but certainly not least, is the Waterfall View Deck. Somewhat secluded this little spot is perfect for 30 seated guests and small daytime ceremonies. It overlooks a three story waterfall that is surrounded by exotic foilage. DJing at an outdoor venue requires an entirely different set-up due to how the acoustics work in the space. Which is one of the reasons that San Diego Botanic Garden uses Behind the DJ Booth. Since we are a preferred vendor they know we provide quality sound and experiences while following the sound ordinances for the area. The garden is located in a residential area so the venue has very strict sound restrictions. 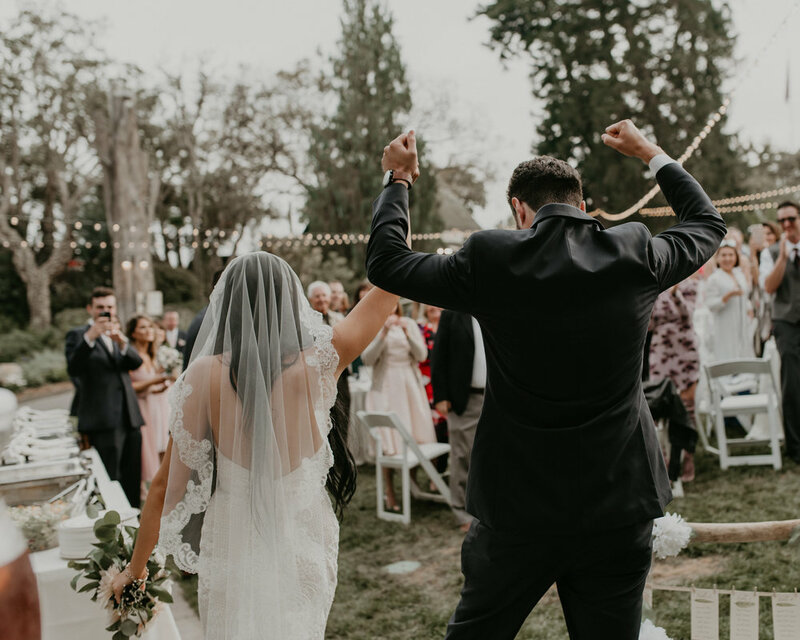 When this couple reached out they already knew we worked well with the venue, once they knew we could create the vibe they wanted it was a perfect match. The musical vibe we created had a mix of Tropical, with artists like G-Eazy, Collie Budz, and Camila Cabello, Hip-Hop, with artists like Drake and Kanye West, and Country, with artists like Creadence Clearwater Revival, Luke Combs, and Luke Bryan. The San Diego Botanic Garden is a perfect venue to play a wide range of music since it's a beautiful open space. Since the garden is located close to a residential area, the venue has very strict sound restrictions. 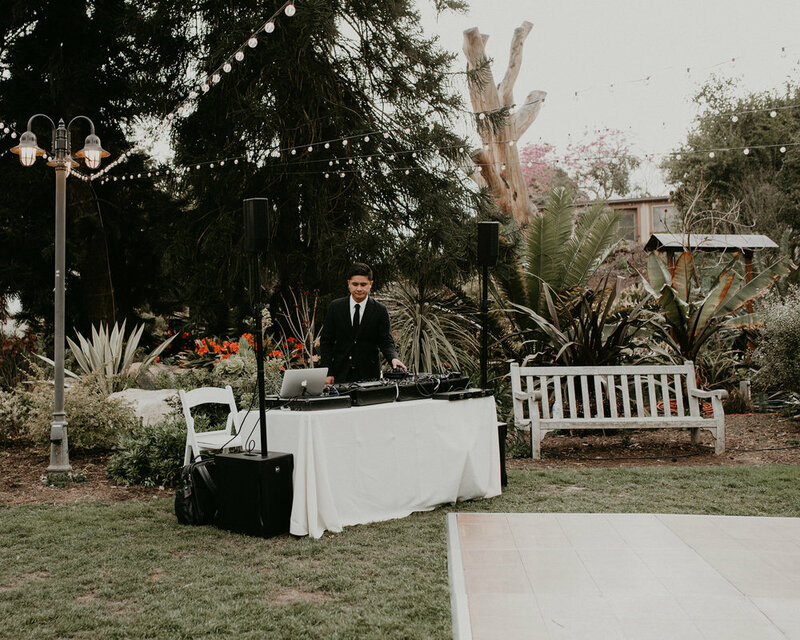 It's important to choose a DJ that reflects your personality and tastes in music; but it's also just as important to choose a DJ that's familiar with the strict sound requirements at the San Diego Botanic Garden. In fact the DJ has to sign a form at the beginning of the event to ensure that the DJ abides by the rules.